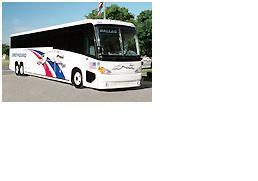 Bus travel is an option that you should strongly consider for your upcoming road trip. Ticket prices will be less expensive than fueling your car with gasoline and you don't have to worry about driving. Traveling by bus is the safest form of transportation according to the US DOT. Private bus lines reduce fuel consumption over 4.2 Billion gallons per year and this also reduces the carbon emissions by 37 million metric tons! If you are considering traveling alone or in a small group then you should look into traveling by Greyhound. If your road trip is with a large group such as a wedding, college fraternity or sorority, or large group of friends then you should look into a Trailways package. If you will be taking a bus travel road trip then click here for some great vacation ideas.